This card cracks me up. It’d be one thing if it was printed in the 1960s, you know with flower power, psychedelics, LSD and whatnot, but for a pitcher to list his hobby as “being music” in the 1980s is bizarre. The 80s were full of excess and cocaine, not good vibrations – or at least that’s what I learned from American Psycho. To elaborate on my point: what do you think Mark did when he went to a church picnic? Parishioner: so Mark, when you aren’t pitching what do you like to do? Mark: I like to be music. Parishioner: You mean listen to music? Mark: No, I mean be music. Quickly it sounds like someone is on drugs or a character in a Haruki Murakami novel. In reality, Gubicza was a very underrated pitcher in the 1980s. 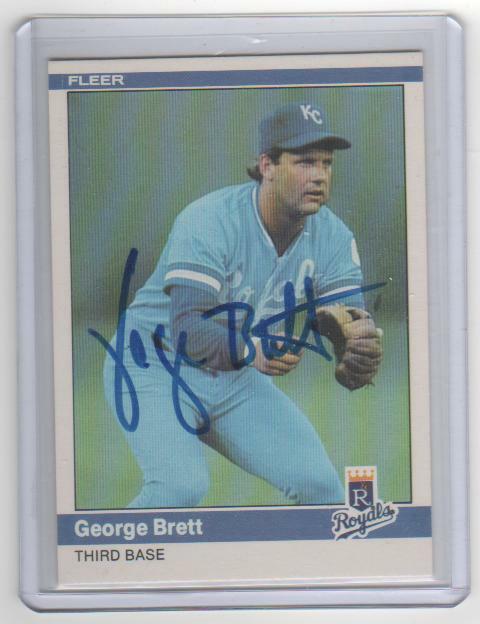 He was a second round pick in 1981, got to the majors in 1984 as a 21-year-old and posted a 4.05 ERA and 1.31 WHIP. He would pitch 269 innings in 1988 and go 20-8 with a 2.70 ERA. He would post a 7.1 and 7.2 WAR in 1988 and 1989, respectively. His father also pitched professionally, logging 285 innings in the minors, but would never reach the majors.